Our phonics programme is based on ‘Letters and Sounds’ (Phase One to Four), Jolly Phonics (Phase Two and Three) and Liverpool School Improvement Plans (Year One and Two phonics). These resources provide a structured scheme to support teachers and teaching assistants in delivering daily, high quality synthetic phonics across The Foundation Stage, Key Stage One and early Key Stage Two. We aim to provide all our pupils with multi-sensory, fun and engaging phonic sessions. Pupils entering Nursery begin working within Phase One. Reception pupils are expected to be working in Phase Two and Three and usually enter Year One ready to begin Phase Four. The children are assessed half termly to track their progress and ensure that good progress is being made throughout the phases. Pupils who are not moving through the phases at an appropriate pace are given extra support through Phonics Booster Classes, Rapid Phonics, Fast Track Phonics, Early Literacy Support, Read Write A2Z and small group intervention. Our Oxford Reading Tree and Phonics Bug Reading Schemes fully support our phonics programme. We provide workshops to support parents and provide them with information and activities to help their child at home. As requested in a recent phonics workshop, Year One parents are given weekly phonics guidance to enable them to support their child with the New Phonics Curriculum. All our Foundation Stage and Year One pupils take home Fischer Family Trust phonics games to promote shared enjoyment of Phonics. We are now arranging phonic ‘Stay and Play’ sessions in Reception and Year One. All our pupils have a password for Education City and we encourage them to complete ‘Letters and Sounds’ activities at home through this website. We also recommend apps through our monthly newsletter and signpost parents to Twinkl Phonics Suite and Hairy Phonics 1, 2 and 3. All Year one children are formally assessed in June by an unseen government Phonic Screening Check. The children are asked to decode forty words, twenty real words and twenty ‘alien words’. Results of this screening check are reported to parents. Any child who does not reach the expected standard in Year One will repeat the check in Year Two. 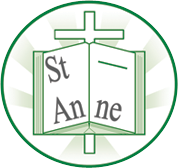 Please e-mail Mrs Lovell via her e-mail c.lovell@st-annesstanley.liverpool.sch.uk if you require any further information or support.